Once October hits everyone's calendars start filling up fast with pumpkin patch dates, cider parties and Halloween parties. So get on your friends calendar's early and have them over for Halloween dessert outside. 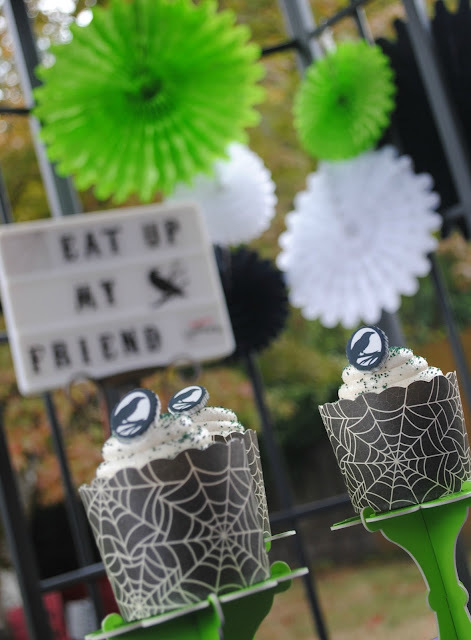 By hosting it early in October not only will you have a good turn out but it's still warm enough outside to eat outside as long as you dress in layers. 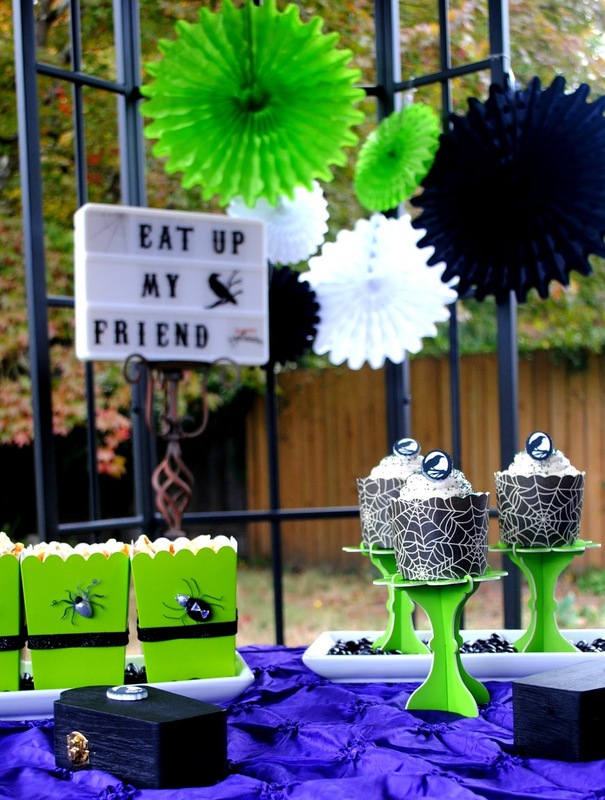 This dessert party was inspired by Oriental Trading's party staples. Keep the decor to a minimum and let the outdoors be the main decor. 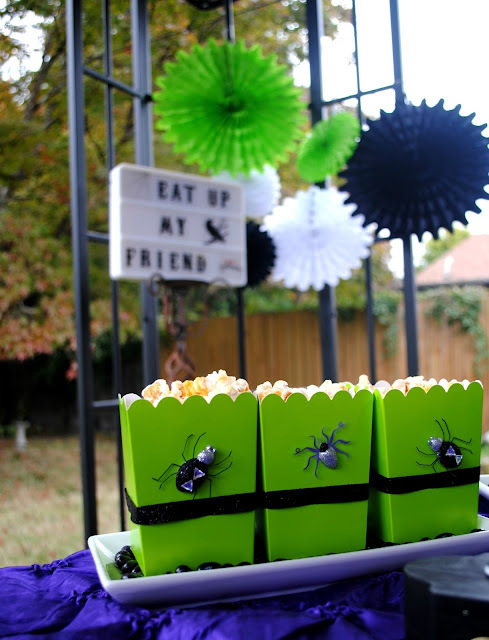 Plain popcorn boxes get spookified with some glittery ribbon and spider stickers. 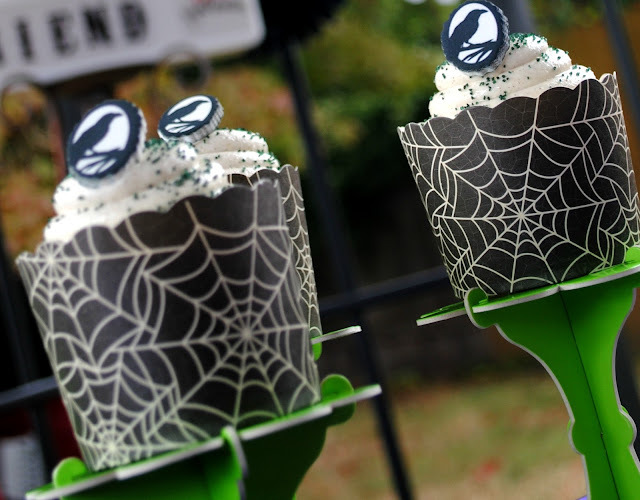 Crow candy cameo's and spider webb cupcake cups dress up store bought cupcakes. 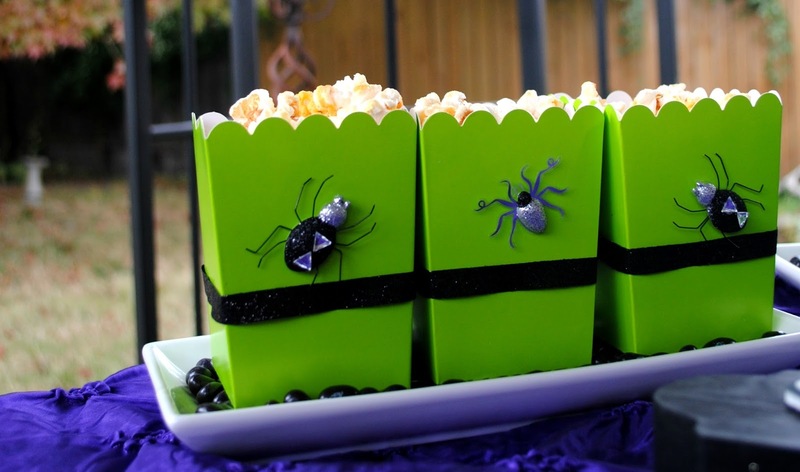 Serve up holiday inspired popcorn like candy corn flavored or pumpkin spice. Jelly Belly jelly beans double as decor and snack and add a touch of colour to the tray the popcorn boxes sit on. 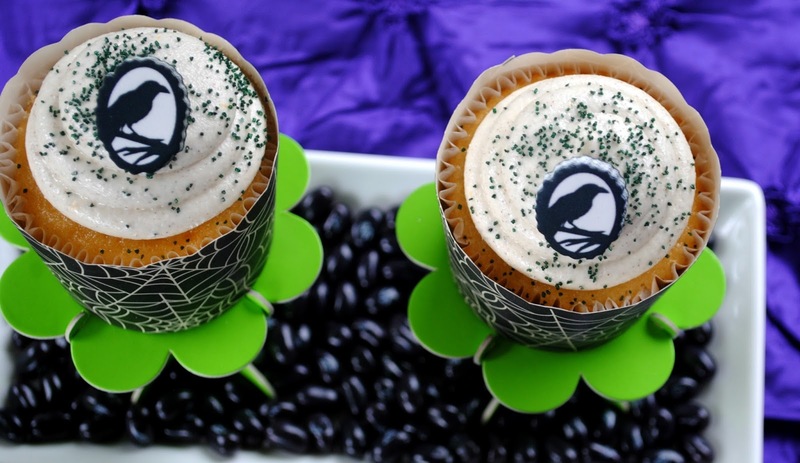 Elevate your cupcakes by using cupcake pedestals . They add a nice touch of colour to your table. 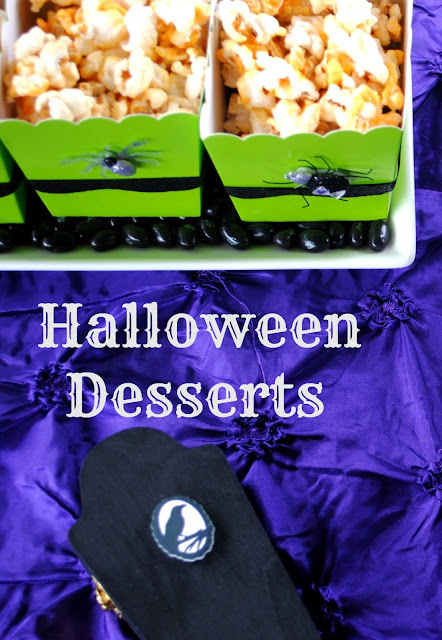 I love using Jelly Belly jelly beans in my dessert decor. 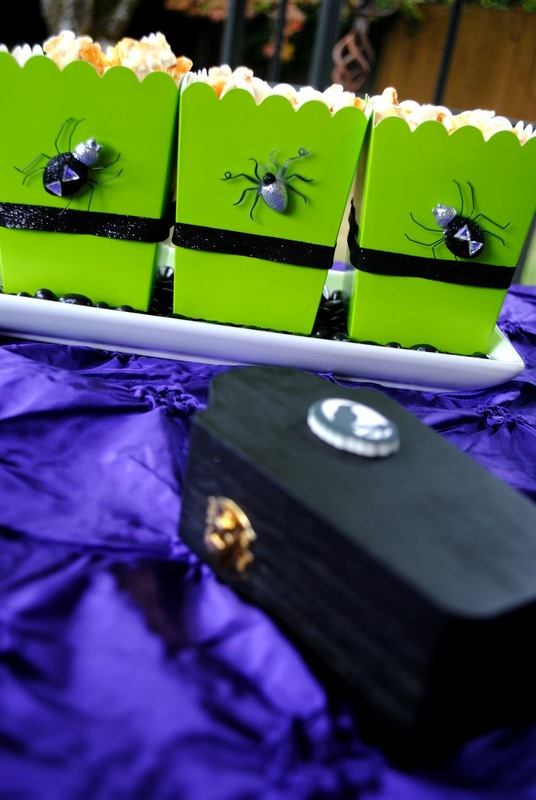 Not only do they add some colour and texture to the trays and compliment the desserts that sit on top of them. But my friends love to grab a handful as they take a popcorn box or cupcake. No one can resist the lure of the Jelly Belly jelly bean. 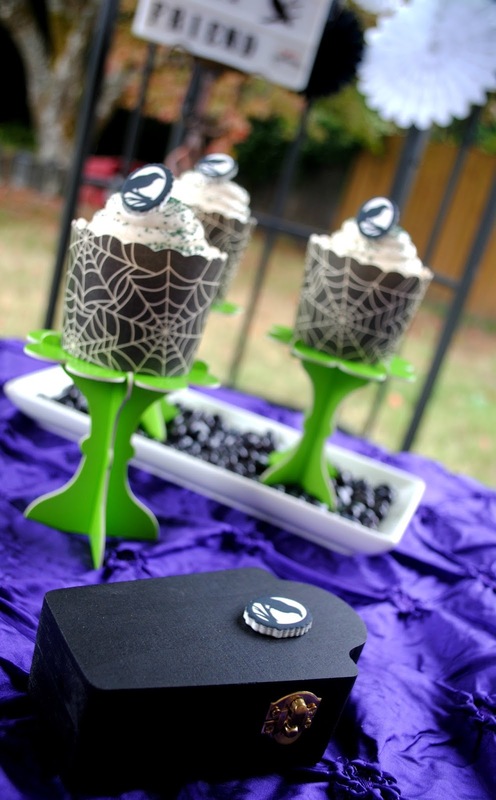 Now shop this party and host your own outdoor Halloween dessert party. And be sure to share your pics with me. Love it! Especially the color combinations! Keep up with the great work! Thank you so much Chuky! You know I will. I can't stop the creative party ideas :D I have notebooks full. What a great way to utilize your new gazebo and get the full fall effect!